Wednesday, October 25, 2017, 4:33 a.m. – The Lord Jesus put in mind the songs “He Leadeth Me,” and “To My Beloved.” Speak, Lord, your words to my heart. 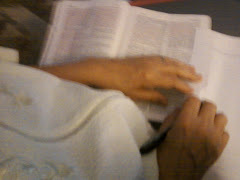 I read Ephesians 5 (Select vv. ESV). Another word for imitate is emulate, which means to follow another’s life and example, i.e. to model ourselves after someone else; to be like him in character, thinking, actions, speech and attitudes, etc. In this case, it is to be like God – Father, Son and Holy Spirit; to be like Jesus Christ. And, this is only possible by God’s grace, through faith in Jesus Christ, and in the power and strength of God’s Holy Spirit now living within us, as we yield control of our lives over to God, and allow him to live his life out through us. Also, if we are to emulate God, we need to know who God is (who Jesus is) by reading (studying) his Word, so we know the example we are to follow. Since God is (agape) love, he is our ultimate example for us in how to walk in (agape) love. So, what is this agape love we are to walk in? It is love which centers in moral preference, i.e. which prefers what God prefers (1). In other words, if we walk (live, conduct our lives, in lifestyle) in agape love, we will treat others as God/Jesus Christ treated (and treats) us, only we are not God, so it is not our place to do what is only God’s to do, such as it is God’s place to avenge, not ours. But, we are to love sacrificially, thinking of others above ourselves, and not do them harm in any way, i.e. this love is not based in feelings, but it is based in God’s love, which results in actions. I think most of us have heard the phrase “What would Jesus do?” This thought possibly became trite, over time, due to it being coined as a slogan, of sorts, to where people may have become numb to it, and it lost its true meaning and impact. But, that is what this is really all about. If we honestly lived our lives with the continual thought in mind of “What would Jesus do?” in any given situation, and with the thought in mind that we should emulate (be like) him, it would radically change how all of us live our lives, would it not? We would become selfless instead of selfish, and we would be willing, too, to be treated ill in return for us following our Lord’s example. We also would consider the Father’s will above our own, our desire would be for God, and not for ourselves, and our goal in life would be to do his will. Since we are to emulate God, and walk (in lifestyle) in his agape love, committing sexual immorality should not even enter into our thinking, i.e. it should not be something we would even consider doing. And, we should not be regularly and consistently entertaining ourselves with others’ acts of fornication, adultery, or sexual deviancy, or with any sexually suggestive materials, which then can lead to eventually acting it out either in our minds or in real life. Christians should make no compromise with the world, but many do. I know that I did, in my past life, and I wish I would have never gone there. We end up getting conditioned to accepting a “little dirt” in order to be entertained, and then we eventually accept more and more, to the point to where we become desensitized to it, and that should never be! This is why God said to “Go out from their midst, and be separate from them” (2 Co. 6:14-18; cf. Jn. 15:19; Jas. 4:4; 1 Jn. 2:15-17; Rev. 18:4-5). Yet, we are to love the people of the world, and he has sent us into the world, but to (agape) love the people of the world, and to be the light of the world, and to proclaim the excellencies of him who called us out of darkness into his wonderful light, not to participate in worldly and ungodly practices. In other words, we don’t become like the world in order to win the world, because then what are we winning them to? A Christianized form of worldliness and ungodliness? May this never be! For, don’t we realize that if we practice ungodliness, i.e. if we walk in sin, according to our flesh, that we will die in our sins, not have eternal life with God in heaven? We need to take this to heart! (See: Lu. 9:23-25; Ro. 8:1-17; 1 Jn. 1:5-9). Therefore do not become partners with them; for at one time you were darkness, but now you are light in the Lord. Walk as children of light (for the fruit of light is found in all that is good and right and true), and try to discern what is pleasing to the Lord. Take no part in the unfruitful works of darkness, but instead expose them. For it is shameful even to speak of the things that they do in secret. So, what does it mean to be partners with someone? A partner is a companion, spouse, associate, cohort, or a coworker, and to partner with someone is to join, unite, affiliate, partake, share or team up with him. Do you know that the church here in America has, for the most part, become partners with the US government via the 501c3 not-for-profit tax exempt status, and that the government is head over the institutional church, and that the church is accountable to the government for what it does? Do you also know that, via the church becoming a corporation under the federal government that it has become a business (of men) and that it is marketed just like any other business? They have turned God’s house of prayer, the body of Christ, into a marketplace, and this also should not ever be! And, because the church, the body of Christ, has, for the most part, become a business, and is marketed just like any other business, its goal is mainly to please its customer base (the world), and at the sacrifice of pleasing God. That is why so many of the church’s plans and activities are geared toward what is pleasing to the world, in order to attract the world to its meetings, so that the world will have fun there and will want to come back. And, that is also why many have diluted to gospel message and have reduced it to a mere acceptance of who Jesus is and of his sacrifice for our sins and of his forgiveness of our sins, so that the sinner can remain in his sinful condition and can go on sinning without interruption, without guilt, and minus remorse (repentance). Not only that, but they often teach the sinner that God requires no repentance or obedience or submission to Christ and his cross. But, this is NOT what God’s will is for his church, nor does he allow for this in His Word, for His Word teaches us that we are not to partake with the ungodly in their ungodly ways, that we are to be unlike (different from) the world (separate, holy), and that we are to live our lives to be pleasing to the Lord – all in His power, working and strength now at work within us. Thus, we are to conduct our lives (walk) as children of light (truth, righteousness, godliness, holiness). We are to take NO part in the unfruitful works of darkness (sin, wickedness, immorality, ungodliness), but rather we are to expose them for what they are so that others will know that we are to come out from them and not share in their sins or in their punishment. Instead, we are to walk in holiness, and do what pleases our Lord. And resist him with all your might. Take up the shield of your faith within you. Salvation’s helmet – you put it on. And you’ll not be ashamed. Love your Lord Jesus; call His Name. Make Him Lord and King of your hearts. To you to follow in all His ways. Repent of your sins. Return to your God. Follow Him where’er He leads you now. Bow before Him, and humbly pray. Keeping His teachings in your hearts near you. Walk with Christ in ev’ry way. Resist the devil. He will flee from you. Draw near to God, and He’ll be near you. Weep and wail o’er sin. With Christ, your new lives begin.